For the Spanish footballer, see Tiko (footballer). "Likomba" redirects here. For the German tug seized in World War II, see Operation Postmaster. 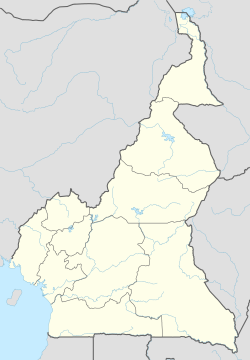 Tiko, originally called ‘Keka’ by the Bakweris, is a town and important port in the southwest region of Cameroon. The settlement grew as a market town for Duala (or Douala) fishermen, Bakweri (Kpwe people) farmers and hunters from Molyko, Bwenga, Bulu and Bokova. The core quarters in Tiko include Streets 1 to 7, Motombolombo, Down Beach, New Quarter, P&T quarters, New Layout, Long Street, Likomba, Golf Club, Mutengene, Ombe. As of 2010, the town is estimated to have a population of 55,914. Tiko is a popular destination for tourists visiting Cameroon. The town is also an industrial area which is mostly occupied by the CDC (Cameroon Development Co-operation), which produces rubber, banana, and palm oil. Tiko hosts the Tiko Golf Club, which is a popular destination for golf lovers. The Likomba Golf Course is located in Likomba which has 18 holes. During the dry season, major golf tournaments are held there, as it is one of only 2 golf courses in Cameroon. Tiko also hosts the special forces, which explains the peace and security enjoyed by the inhabitants. Mutengene, a small town west of Tiko, is a cross roads leading to Buea and Limbe, Cameroon (Formerly called Victoria). Tiko is home to many colleges, including Christ the King College, GBHS, Imperial Academy of Arts and Science (IMPASS), Sure Foundation Comprehensive College, and Plive College. There are two major hotels. Airport Hotel, which derived its name from the Tiko airport, is located on Long Street. This hotel was built in the early 70s. It used to have a very popular nightclub which attracted folks and musicians not only from within but also from out of Cameroon. 3813 is the second of the two hotels. It was built around the year 2002 and is located along the Tiko-Douala road. It has a supermarket, a swimming pool and a night club for dancing. Internet access is also available. Tiko is well known for its Nigerian (Igbo people) population, as well as its organized marketplace. The Tiko Market is one of the most renowned markets in West Africa. People traveled from surrounding villages, cities, and countries to shop or conduct business in Tiko. The market is currently being rebuilt after a fire destroyed the shops on 2 March 2010. Tiko United FC is Tiko's most famous football club. Tiko United is the first club west of the Mongo to have won the championship title since its inception some 50 years ago. Plantations in the Tiko area were originally served by narrow gauge plantation railways. Sofoklis Schortsanitis, basketball player for P.A.O.K. BC in Greece. ^ "ASSOCIATION OF TIKO RESIDENTS IN THE USA (ATRUSA)". ^ "Town information for Tiko". ^ Efande, Peter. "Cameroon: Tiko Market In Ashes". Retrieved 17 March 2011. ^ "CAMEROON SPORTS NEWS – NEW BOSS FOR TIKO UNITED". This page was last edited on 27 March 2019, at 13:24 (UTC).